CAMPBELL RIVER, B.C. – The Cyclone Taylor Cup blew through Campbell River over the weekend, and left a lot of great memories in its wake. This is according to the coach of the newly minted B.C. junior B hockey champion Revelstoke Grizzlies, as well as the head coach of the host Campbell River Storm. 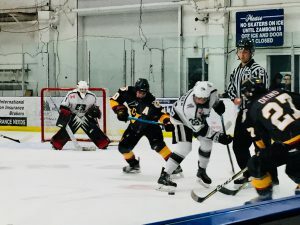 Rod Brind’Amour Arena was filled or nearly filled throughout the four-day tourney, and while his team won once in four games, Storm coach Mike Wilson said it was a great experience for players and fans alike. 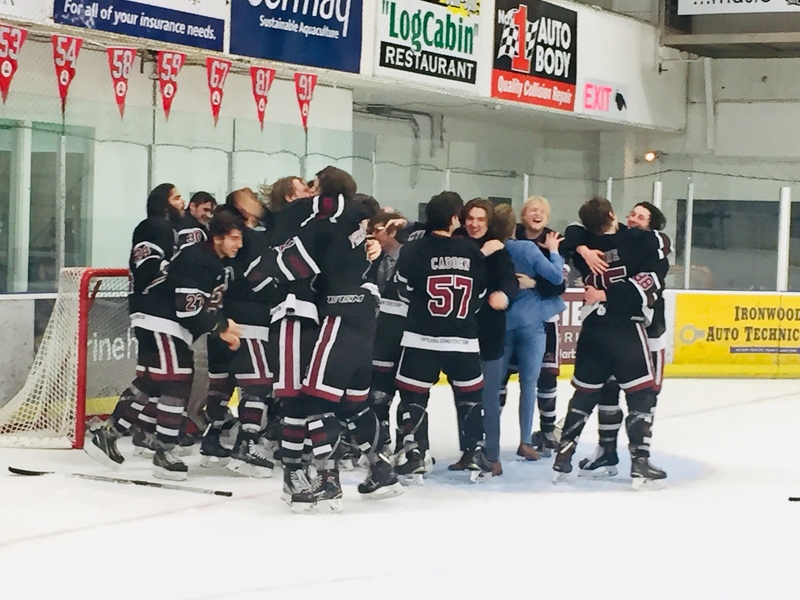 Reid Wheeldon scored 26 seconds into the first overtime period to give the Storm a 3-2 win against a Cougars team that defeated the local boys in five games, in the Vancouver Island Junior Hockey League final series. 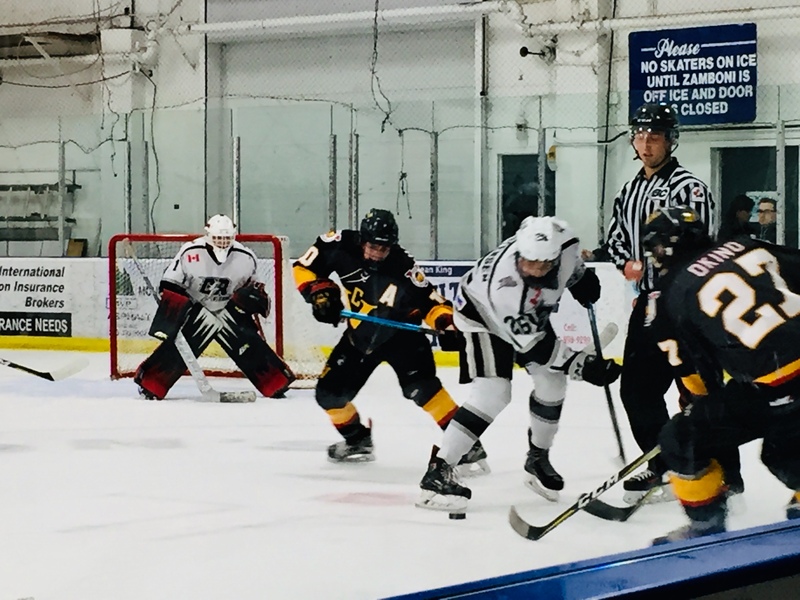 The Campbell River Storm (in White) took on the Victoria Cougars on April 12th, during the second day of the Cyclone Taylor Cup at Rod Brind A’Mour Arena in Campbell River. The next two games were tightly contested 3-2 losses, to the eventual B.C. champion Revelstoke Grizzlies on Saturday night, and in overtime to the Wolf Pack on Sunday morning. “At the end of the day, we didn’t quite get the result we would’ve liked, but the guys came out and worked hard and really competed,” Wilson said. Off the ice, it was a huge success at the gate, and the Storm games had an electric atmosphere in what has for years been a huge hockey town. Wilson wasn’t surprised at the huge turnout, even when the Storm weren’t playing. In Sunday’s Cup final at ‘The Brindy,’ the Revelstoke Grizzlies skated to a 5-1 win over the Victoria Cougars. This marked the first Cyclone Taylor title since 2010. 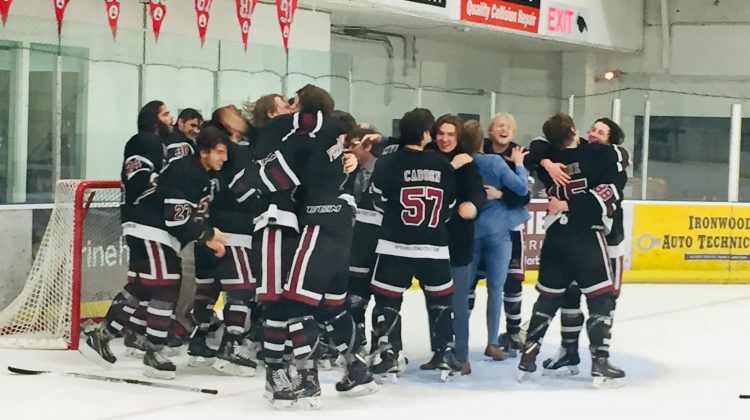 The Grizzlies had to win the Kootenay International Junior Hockey League title in order to qualify for the Cyclone Taylor Cup. “Being able to top it off in Campbell River, it was the icing on the cake,” he said. Parent said his players are used to playing in front of 1,000 people, so the experience at Rod Brind’Mour didn’t overwhelm them. He credited the fans of Campbell River for making the experience memorable.